Sunday is April first (see our calendar). If you are into April Fool’s pranks, you might check out the Top 100 at the Museum of Hoaxes. That list includes The Swiss Spaghetti Harvest and San Serriffe – these hoaxes are often based on interesting trivia or extravagant imagination and make for quite a learning experience. Of course April has other goings on, too. The SNU Rally at Lahontan State Recreation Area is set for the third weekend. US Tax day is going to be the 16th this year. Earth Day is the 22nd. 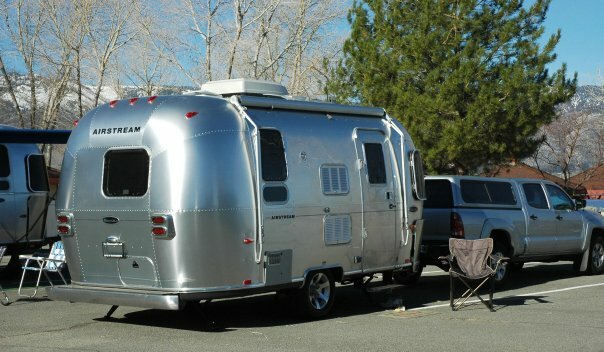 The SierraNevadaAirstreams.org calendar is a new experiment here. Besides a general purpose calendar, it is also intended to be a resource for travelers. If you plan to be at some place like Death Valley or Flaming Gorge or wherever and would like to invite others to drop by and say “hi!” then you can add an entry to the calendar so others can see where you’ll be when and can plan to join you if they are interested. We’ll see how this works out. Update: for more April Fool’s prank ideas, see Scott Adam’s Dilbert blog! 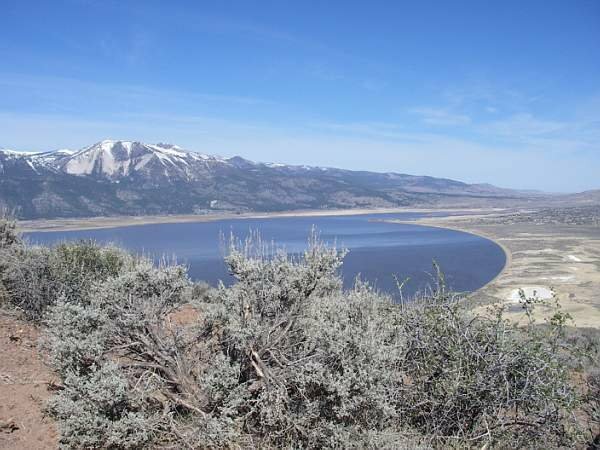 The photo gallery of the SNU March 2007 Washoe Lake State Park Rally are up. This year we had a number of folks take the trail up to the gazebo lookout point – and further. Quite a view from that vantage point. See the pictures! The March SNU Rally at Washoe Lake State Park was a convenient opportunity for a spring shakedown. Not a big trip but enough to get the rig out, find what out works, find out what doesn’t, and fix and repair as necessary. A short run is just enough to check hub temperatures and catch potential bearing or brake problems before they get serious. Tire pressure and lug torques need to be on the list, too. One problem noted in our rig was that the running lights didn’t work. This turned out to be some crud in the connector plus a bit of corrosion plus a pin that needed a bit of TLC. This might have been prevented by bringing the umbilical indoors or at least providing a cover for the exposed connector. Some goop on the connectors might also have been a good idea. Then there was the propane match that didn’t light. This match had a window on the propane reservoir so I could see it had plenty of fuel. I could also see the spark. It could be lit with another match when the fuel flow was turned down to minimum but the flame was irregular. Dave’s the one with sharp eyes who noticed that a small spider had crawled into the end of the match and the spider body was disrupting the propane flow making it difficult to light. Cleaning out the spider needs a small pair of tweezers or perhaps some air. Spiders do seem to like propane. They will often take up quarters in water heater flues. That means that you can get an obstructed flame and a lot of soot when you try to fire up the water heater after a storage break. Keep your flues clean and inspect all propane appliances before you start them up after storage. Jerry had someone clean his rig who got a bit too enthusiastic and cleaned his water heater, too. So Jerry was out getting the fuel and air path cleaned out and adjusted in order to get hot water in his rig again. At WLSP we run a battery charge line from the pavilion around to all the trailers. This means a few hundred feet of extension cord. Some found their inventory short of expected supplies. The weather was also good for stretching out the awnings. Clint and Kathy got a newbies initialization of this feature on their new Bambi and some good advice about how to protect awnings in the afternoon Zephyrs. Randy decided that maybe he should add window awnings to his rig as that little bit of shade can make a big difference in the desert sun. The park maintenance people were rather busy preparing for a new season, too. They replaced the paint on the handicapped parking spot and tried to figure out why the pavilion lights didn’t work. There is nothing like actually getting out and using the equipment to make sure it works to spec. Having a short rally not far from home is a good way to test things out and conduct a spring shakedown. Then you know you are ready for the next big adventure! The RGJ reports that a Motorist dies trying to avoid elk on road. This is an example of the reason for the guidance: Don’t swerve to avoid the animal on the road reported in SNUZE a month ago. The Wooten family were on highway 6 near Ely when Jay swerved to try to avoid an elk on the road. He flipped the suburban and utility trailer. His seat belt didn’t save him but the rest of his family were doing OK at the hospital. This is one of those hard to learn lessons. The natural tendency is to maneuver to avoid obstacles on the road. The difficulty is that of knowing just how much you can maneuver and still maintain control. At highway speeds the answer is ‘not much’ and that is why trying to avoid things on the road is not a good idea no matter what your brain is telling you at the moment. Our sympathies are with the Wooten family in their loss. Let us hope that such tragedies do not befall you. Come to the SNU rally at Washoe Lake State Park March 22 through March 25, 2007 and see if anyone knows. Do you depend upon mail forwarding? It is going to get more expensive, again. Just over a year ago (8 January 2006) letter postage went from 37 to 39 cents and postcards from 23 to 24. It will soon increase again but this time with a solution to the constant increase hassle. The Multi Channel Merchant reports Postal Board Approves Majority of Rates for May 14 Implementation. They are concerned because the rate increase will have a severe impact on catalogs. It does not appear that it will have as much of an impact on periodicals, though. Fox News notes that, as a part of this increase, Postal Service’s ‘Forever’ Stamp to Debut in May; First-Class Stamp Price to Rise to 41 Cents. Letter postage will increase to 41 cents, postcards to 26, and one pound priority mail to $4.60. The Postal Reporter has a table showing the old and new rates. That ‘forever’ first class postage stamp is an ‘its about time’ idea. It will sell at whatever the current going rate is but will not be marked with a denomination. Even if purchased before a future rate increase, it will still be valid first class letter mail postage. See also the Alliance of Nonprofit Mailers and the USPS Domestic Mail Manual Advisory for background and additional information. This puts even more incentive towards making use of online banking front ended by credit and debit cards. Bills and payments never hit the postal system and you don’t have to worry about someone stealing stuff out of your mailbox. But you do have to worry about a good Internet connection and safe computing practice. The Nevada Mustang Roundup 2007 (Nevada QSO Party) will be this May 11 for 24 hours starting at 0000Z. The purpose of the Mustang Roundup is to provide an opportunity for ops everywhere to contact Nevada stations for awards, rig testing or just plain fun. For details, see the Nevada Mustang Roundup web page. Harbor Freight is a dangerous place. You always need to be careful as you can’t expect more than you pay for. But then, most of us don’t need shop grade stuff that is suitable for day in and day out hard use. Here are some items in the latest flyer that could be useful to keep your RV in good shape. You can probably find similar stuff in other tool places, too. Check prices and check quality – and check your real needs, too! Gadgets are fun but they take up space and can add weight so don’t stock your RV with more than you really need. The nitrile gloves at $8/100 are handy if you are going to be doing wheel bearings. They are also a good idea when dumping your tanks or other things where you want to separate your hands from what they must do. The $25 Infrared laser thermometer is not a bad price for a way to monitor hub and tire temperatures when you make a stop on the road. It has other good uses as well, especially for cooking. The $5 collapsible garden bag might make for a useful trash container in camp. Check it out, check your inventory, and maybe just do a bit of looking for ideas. March is when the odds of a deep freeze and the winter storms of any significance start to diminish. Normal lows are near freezing at the end of the month with the mean temperatures getting well into the forties. March is when you can start thinking about not having solid deep freezes although it seems there is often a good one just after the fruit trees have bloomed. What this means is that you will need to be careful to keep your pipes from freezing if you prep your rig – like for next week’s Rally at Washoe Lake!. This weekend is a good time to check your battery water level – you’ve been doing that every month or so over the winter, right? Make sure your tires are up to pressure. Inspect everything for any winter damage or any wear and tear that needs fixing. Check the lights – both running and house – and make sure they all work properly. Despite the chance of freezing, this is probably a good time to flush out the antifreeze and sanitize your plumbing. Put five gallons or so in the tank and fire up the water pump. run all the faucets until the antifreeze is flushed clear. Then add about a quarter cup of bleach (5% hypochlorite with no enhancements) to fifteen gallons of water and put that in your fresh water tank. Run each faucet until you can smell the bleach. Let is sit for a few hours. Drain the tank then fill with fresh water. Run the faucets until the bleach smell is gone. While your doing this, you should check for leaks, especially in out of the way places that might be hard to get to or where a small leak could escape notice. All of this water running should have the waste tanks needing a dump so don’t forget to get that done, too. After you de-winterize the plumbing, you will need to either keep your furnace on low or to provide some other source of heat just in case the weather decides to test your preparations. Wheel Bearings? The purists think they need a repack every spring but others think that’s a bit of overkill. Maybe every two or three years is enough. But do consider your running gear and keep an eye on hub temperatures when you get out on the road after sitting a spell. Supplies? Is your first aid kit replenished and fully stocked? Check the fire extinguishers? Check the CO, propane, and smoke detectors? Propane tanks full and all appliances working? Gas lines look good? How long have your tires been on the trailer? Any indication of sidewall cracks? If they are older than 5 years, you should consider replacing them. What does the spare look like? Examine the hitch parts. Check the bolts. Look at the ball for undue wear. There’s more. Even the most thorough check list will miss something. That’s why a weekend outing not too far away is a good way to make sure everything is working and replenish what you forgot. When you are out of practice you have to be especially careful so you can get off to a good start on making good use of your RV this summer. CBS News has a story Get Ready For The Big Time Switch – Larry Magid’s Tips On How To Adjust Your PC & Gadgets To New DST. Its about the various devices and what you need to do to make sure their clocks are on the right time. There’s a link to the Microsoft page in the article. For the Geeks, Linux Watch has Switching your Linux systems to the new DST which tells you a bit about how your PC keeps track of time as well as the actual mechanism used by Linux systems. There’s a link to the 2005 Energy Policy act in the article if you want to get the source of the trouble. Either way, it is this weekend. So start shifting your circadian clock by an earlier rise and shine! The trouble is that for a lot of us this means breakfast in the dark, again, for a while. And those campfires are going to be later in the evening if we really want to see the fire and the stars on the campout. It seems a bear thought the access box was an icebox or something but biting into the 1500 volt power lines within did him in. See the pictures and story at Urban Legends. What would you do if you found a 600 pound bear lying still with power lines in his mouth? Over air TV is changing standards. To use the old type TV in your RV you will need a converter box between your antenna and the TV. As of March 1 federal law mandates that all TVs sold in the US must sport a fancy new ATSC digital tuner.” The deal is that TV as we have known it since 1941 will cease to be as of February 7, 2009. Some folks are so worried they have a countdown clock at DTV Transition. See rhe FCC Digital Tuner Requirements Press Release. See story at Crave. The idea here is to free up spectrum space used for cell phones and other stuff. DTV needs less of this resource than the current NTSC TV method. What makes this all really confusing is that DTV is just one of something like 18 different formats defined by the Advanced Television Systems Committee (ATSC). All TV to date (NTSC) have been for a near square screen. The movies started the wide screen think in the fifties and now TV is catching up. DTV will support either, HDTV only wide screen. One way to think of this is that DTV is a low end version of digital TV that is designed to be compatible with old style TV as far as resource requirements. It provides a bit better picture than it replaces and leads the way towards more advanced features. What you will see when you go TV shopping is that the trend will be towards TV’s with multiple tuners to handle old style NTSC, new style DTV, and cable. These will often have inputs for all kinds of gadgets, too, and may even drop the tuners. The screens will support sharper pictures, faster frame rates, and have wide screens. DTV is pretty well matched with current DVD technology used for movie distribution and off air recording. As the TV’s start to be able to handle HDTV as a superset of DTV they will also stimulate the use of high definition DVD’s that are just now starting to show up on the market. This is why you see those fancy Class A motorhomes being provided with multiple large screen TV’s. They run complete media centers and often use satellite based DTV. This is great for those who ‘camp’ in crowded RV parks. But what they have will be trickling down to where even an Airstream BaseCamp is likely to be sold with a wide screen DTV. Be prepared! Daylight Savings Time starts early this year. There are some clocks that will need to be set that you might not think about. If you have a digital camera, for instance, you will need to set its clock. It is a good idea to check the digital camera clocks occasionally to make sure they are reasonably close to the proper time and date. Each picture you take is annotated with the time and date and some camera settings. If your digital camera clock is set properly, these annotations can help you manage your pictures. Momofuku Ando of instant noodles fame, R.I.P. There are a lot of people who have made life on the road and in camp more comfortable. Some of those have invented processes and techniques for food storage and preparation so we can enjoy more flavors with less worry about rot or contamination. It was a pretty amazing feat selling dried noodles in a country that prides itself on serving fresh noodles at thousands upon thousands of small restaurants. Noodles served with vegetables or pork. It is not a name that is well known – as the story jokes about – but the person, the innovator and entrepreneur, is one of the many who have touched us for the better. We should not forget and be thankful for their contributions.